Have you chosen your content and are ready for block positioning? The position tab controls where the block is placed on the webpage. Block positioning is available for both Blox and Blox Lite. Position type was introduced in Blox v1.4.0. In previous versions, content blocks could only be positioned via action hooks. While this allows you to display your content virtually anywhere on your website, there are limitations. Version 1.4.0 adds Position Type to the Position tab on each content block. See the screenshot below. Blox Add-ons will take advantage of this setting to provide new position types. Note that by default, Blox still only provides the option for hook positioning. Add-ons provide additional options and are free with a Multisite or Developer license. Each block is initially set to the default position settings. As depicted in the screenshot below, you can easily see what the default position and priority are. You are also directed to the plugin’s Settings page if you would like to modify these defaults. To set a custom position, toggle to the position type dropdown to custom. You will then be presented with two options. Those that are familiar with Genesis hooks, or action hooks in general, should be pretty comfortable picking the hook they want from the dropdown and moving on. A complete list of all position hooks is available here. However, this concept is likely new to many and since block positioning is the crux of Blox, lets take a closer look at this concept. Action hooks are present throughout any WordPress website. In general terms, they allow you to add content to specific areas of your website, both the frontend and the admin. WordPress itself includes a number of hooks, but most of the frontend hooks are added by the theme you are using. Occasionally, plugins add their own hooks as well. We are only concerned with frontend hooks because the whole point of this plugin is to add content to your website that visitors can actually see, right? 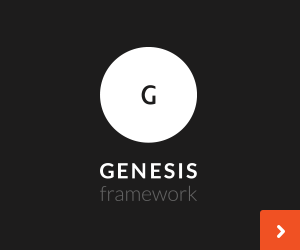 One of the greatest benefits of using the Genesis Framework is that there is a standardized set of hooks, called Genesis hooks, that apply to nearly every Genesis theme. Blox could not exist without this feature. This plugin includes a total of 54 frontend hooks that you can choose from. The hooks are intuitively named so you will have a rough idea what each do. Also if you hover over a particular hook, a tooltip will appear and provide some context. See the screenshot below. Another great reference for determining where these hooks are on your website is the Genesis Visual Hook Guide by Christopher Cochran. As you can see in the screenshot above, a direct link to this reference has been included. This resource does not include every hook, but it will surely help you pick the correct Genesis hook. The final option is the block’s priority. Other plugins and themes can also use Genesis hooks to add content to a page. A low number tells WordPress to try and add your custom content before all other content using the same Genesis hook. A larger number will add the content later in the queue (ex: Early=1, Medium=10, Late=100). Priority is also useful if you are adding multiple blocks on one hook. The priory will allow you to specify the order in which the blocks are displayed. With the block’s position set, it is now time to set the block location.